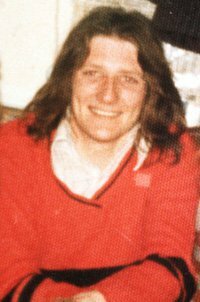 Just in from watching “66 Days”, the Bobby Sands film, which is a poor tribute to the man, a twisting of history, made to bolster the current regime in the North of Ireland. As Bernadette Sands McKevitt said: “Bobby did not die for cross border bodies and executive powers” – he died for a United Ireland that respected all of its communities… something that the Good Friday Agreement will not achieve, which exists to take the wind out of the sails of the republican movement without being a threat to the union. There is nothing like burning out a family to turn them against your community, and Bobbys family were burned out of Rathcoole where there was a strong cross community spirit before the escalation of the troubles. They had moved their to flee harassment from neighbours in Abbotts Cross – also in Newtownabbott in Antrim – before that. As with Holy Cross decades later, they were stoned while going to school by a large section of neighbours, until out of intimidation the ones who did talk to them turned their backs on them probably to save their own skins. Those people, nobody blames, its the tragedy of Ulster. He worked in a coachbuilders until forced out of that by one of the local Tartan Gangs who said the works were “off limits to Fenian Scum”. Thats what created the Republican activist Bobby Sands. Bobbys mother and her parents were Irish. His father was of mixed parentage, and was a British army veteran in WWII, who was quoted as saying “the freedom we fought for … in WWII … did not bring freedom to us“. Bobby was not motivated by sectarianism, but as a reaction to supremacism and being made a second class citizen by a section of the Protestant population in his area. The rest is history. He was one part Orange Irish, to three parts Gaelic Irish, like the island itself, and to be Orange is not a bad thing, its when its used to oppress others not of your tradition that its wrong. Ditto with Irish, those who looked down on Irish being working class and forced out workers activists like James Gralton and yet faulted the British for doing the same are every bit as bad as the Orange mobs. The hunger strikes commenced, and one British commentator even tries to lay claim to the concept of hunger strike by saying Terence MacSwiney took it from the suffragettes. This is one of many commentaries during the documentary that shows the West Brit slant of the documentary, and one of the least offensive. Hunger strike has a long history in Ireland, but is not an Irish concept. It predates even the suffragettes, is Biblical and even pre Biblical, and a world wide form of protest. In fairness to the documentary, the opening scnes reflect this where a bible quote is given as one of the earliest sources in writing of hunger strikes. The dirty protest is barely touched on, the reasons for the same are glossed over. The prison wardens refused to allow the chamber pots to be emptied, so to keep the cells clean, the waste was thrown out the windows. It was thrown back in again, after which smearing on the walls to spread it out to dry quickly was the most hygienic option in a desperate situation. Its a local prison mismanagement problem that caused that, exploited to make the Irish look savage and dirty, a British tactic since they arrived on this island as a ruling power. Fianna Fail talked the talk, but did not walk the walk, trying to get votes as the real republican party, and doing nothing to achieve the same, bar pandering to the ultra catholic elements of the moment, which the Orange folk see as most objectionable. Jack Lynches talk of “not standing idly by” while he did just that was continued with the Irish embassy told not to stoke up the Irish Americans. This didn’t last, and then they did rise and the support and pressure came flowing in. However the American regime, an ally of England, and afraid of the Marxist element of Sinn Fein, did all they could to say a lot and do nothing. The cowardice of the Irish government of the day, its “army” led by Sean Mac Eoin’s nephew I gather, leaving the job to “the boys” as Bobby Sands father John called them, was the direct cause of most of the atrocities caused by the IRA while fighting the British. The other parties were worse. The documentary concludes with an extraordinary claim: Bobby Sands death caused the peace process. It didnt. The Irish knew already to spite how crooked the British regime makes elections that we can win elections. What it did do by accident was give Gerry Adams the power base that he has today – a base he prepared by undermining Ruadhri O Bradiagh who had loyalists talking to him about “how to incorporate an independent Northern Ireland within a United Ireland”, which Adams dismissed as “an Orange sop”, only to settle for a lot less later on, causing a lot more deaths and hatred. What we must do is square the identity of the British in Ireland with an Irish identity, with respect or all. A united Ulster, in a bi-state confederation with the other three provinces is such an option, possibly with each of the nine counties being autonomous within Ulster itself. Its not Ruadhri O’Bradaighs Eire Nua policy, but a variation on same. To incorporate the Orange in our island, and to fully be true to the Orange in our flag, we must understand the Orange folk. To this end Ive been debating online in various Ulster Scot groups, as have a few other gluttons for punishment! The phrase “papist” is often used to describe Catholic. As we call Protestants “black” and “orange” in insult, knowing we mean only the bigots, so too the true meaning of “papist” applies to us, when rage and excitement has died down. A papist is one who does the popes will. If there was a bad pope – not like Pope Francis, the best pope since John XXIII – who said “slaughter your Protestant neighbours or make them convert” like in 1641, and what the Pastorini movement advocated in the 19th century, the papists who heretofor may not have been very political would follow that command. The standard republicans would probably defend their Orange neighbours, and thats why the south is feared and unity opposed. Roumers of this were spread by Dublin Castle as a divide on Conquor tactic through the centuries, with caring degrees of foundation, and more often with none at all. The ordinary orangemen sees himself not as a planter, but as a tenant, and they resent them being attacked for the actions of the gentry and the regime. Ive explained what I call the “Apache reaction”, where the government and the supporters of the government are seen as the same. Another angle to explain our take on history is the “Yeoman” classes – the good neighbour who is your butcher and cuts your meat today on the orders of his superiors in the Yeomanry as it was were often the most brutal in cutting down their Catholic neighbours, a classic example of this being the wake to the 1798 rebellion, where not alone combatants but ordinary householders were massacred, by the Yeomanry, under order. Both sides have done wrong. How to reconcile each other will not be done under the Good Friday Agreement, but it does have its good points, which can be built on in a proper settlement. The sectarian nature must be taken out of politics, probably best done by banning all churches from making political statements in future. Orangism promoting a British identity and the Protestant religion is OK, the AOH do the same from our angle. Banning members for amrrying Catholics is a rule that must change. One of their leaders, Patrick Duignan from Leitrim (was appointed Grand Secretary of the Orange Order in 1801) had a Catholic wife, and built a chapel for her in their home. So there is precedent. Whether he was related to the infamous Chicago May I dont know, his second wife was married to the widow of George Hepenstal, who was related somehow to Hanging Jack, who was uncle to the wife of Ralph Doppins, who was grandson of Mary Smythe of Grousehall who married his grandfather, also Ralph, whose sister married a Phillip Hourican, their daughter married Corcoran, their married Phillip Hourican, and their daughter married another Duignan… how HE was connected to Chicago May Im trying to work out, and how to Patrick Duignan I dont know yet. How his wife is rlated to me is that her sister married a John Carty… and was my great grandmother. With the exception of Patrick, all the Duignans I know were Catholic, but we are all cross married back the years. It is the tapestry of our island, more true thefarther north you go. The film is basically a pro Union piece of propaganda to give credence to Gerry Adams and Sinn Fein as a safe pair of hands, a mythology they want to build up in case the coming generation turns away from the peace process. Terence MacSwineys quote “its not those who can inflict most but those who can endure most” is often repeated through the documentary, and its something that must be borne in mind by those who wish to see a united Ireland. As a frontier folk the Ulster Scots in particular and the Ulster English too can and have endured attack, so violence is not the best option but politics going forward, and sectarianism must be stamped out, especially on our side. Whatever we think of Ireland in the EU, Brexit allows a common ground between all sides on this island, and may do more to unite the island than all the wars and rebellions since 1798, but sectarianism or appearances of a Catholic state would undermine that, which the British will foster as a countermeasure. Cinematography is poor, quotes are selective, and its agenda is translarent. Its a poor credit to the man, shows no alternative vision, and is a shoneen attept to make money from the legacy of the sacrifice of Bobby Sands and his comrades. Three out of five.